While both the creatures are two of the gentlest walking the Earth, these very names scare the bejeezus out of people when associated with SEO. 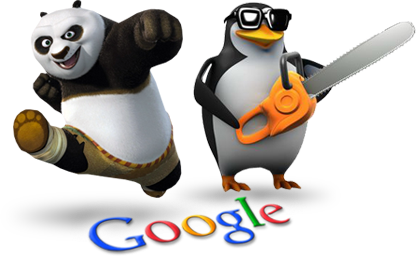 Penguin and Panda are Google’s most famed algorithms meant for quality checking. The search engine has marked them territories to catch every malpractice and given them the power to penalize. 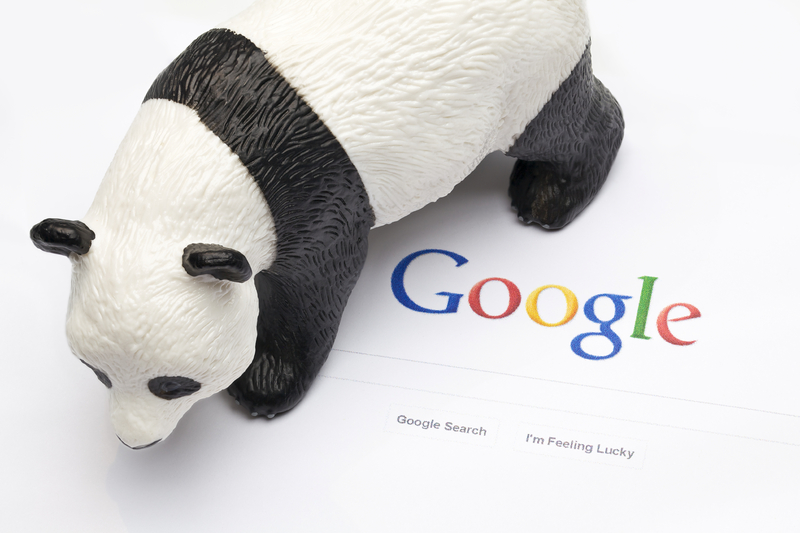 Panda will stare at you every time you post a site, and Penguin will continuously scan every corner for irrelevant links. So, what happens when they catch you? – First, your site is de-ranked. – Second, you are sent a warning from webmaster to rectify. You will have to start with the whole ranking process again and will definitely lose all your organic traffic to someone else. There is absolutely no way to evade these algorithms of Google. All they want you to do is stay with the frames set by the webmaster and deliver relevant, useful content to users. In simple words – the bird and the bear are here to keep you in check. Here are few territories that you just, must not enter. Panda and Penguin roam here with authority, and you shouldn’t cross paths with them. You may think that it’s Google Bot after all and what does it know about a white text on a white background. So let’s just place all the keywords and link here to climb that SERP ladder. Trust me; Google Bots are way smarter than what you think. They will catch you and they will penalize you. Even if they miss out, there is always manual checking. Panda will just not allow this. No matter how heavenly your sentences are, even if the structure is copied, Google will never rank your page. This is Panda’s top most criterions to catch you and you simply cannot escape. Yes, the more the keywords, the more relevant is your page. But this is so 2010s. Panda is now updated to look for relevance. A few keywords here and there will be enough to rank your page. Maintain content quality and you will be fine. Goes with a similar concept of hidden concept, the only difference is that you tickle Penguin the wrong way here. Consider this as a strict no-no for your web page and do not step out to place any sort of irrelevant links on your page. You may argue and say, “How will Google ever know that I paid someone to backlink?” But the truth is, you do place signs and symbols on your page when you opt for this practice. Penguin has its own way of identifying bought links and hardly misses out. 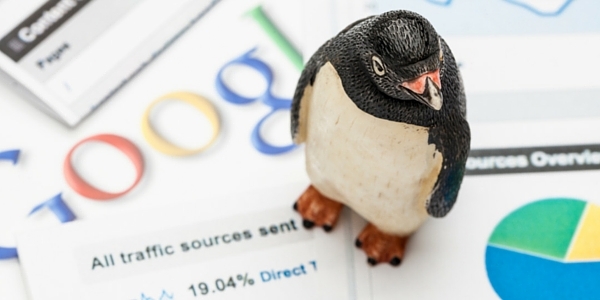 “You link to mine and I will link to yours” – the concept may seem intriguing, but Penguin will catch you if things are not relevant. Well, you may certainly request someone to link to your webpage, but always remember that his link must seem natural to a reader. Most short-cut SEO people think that this is the best way to get backlinks from high priority sites – go and post your site’s link in the comment section of Facebook or Quora. Now if the post is about fossils and I post a link to human food, what does it tell Penguin? Just 2 words – stay clear! Just don’t enter these regions when you construct your site. Matt Cutts explained this approach of SERP ranking in the best way possible. “It’s like a plateau. Initially, you are fine, you climb and climb and suddenly, on fine day, you hit plain land. As you continue, you come to the edge and start descending until you hit bottom again.” Who better to explain this than Google’s own designer? The process is long and it will take time to reach rank 1 following webmaster’s rules. But the time is worth waiting. Don’t opt for shortcuts and end up rubbing Penguin and Panda the wrong way. Things will unnecessarily fall out of hand from where there is no coming back.